I was looking for a company to send a fairly heavy parcel from the UK to Germany at a reasonable price. Although I was recommended a different company, I went with courierpoint not only because they were cheaper but also because their offer suited my needs and their service description was comprehensible. The ordering process was quick and easy including the payment by credit card. The parcel was picked up from my doorstep the next day and arrived in Germany within 3 instead of the promised 4-5 business days. I am very happy with this service and recommend it thoroughly! Speedy and good value for money! We were looking for a reliable courier which was not overpriced to send a parcel to Germany and found Courierpoint in a web search. They appeared to offer a quick service and were good value. We were not disappointed with a quick collection at the time stated and the delivery when promised all for a very reasonable cost. We would not hesitate to recommend this company and will use them again in the future. Parcel was picked up the same day and arrived in Germany in less than 2 days! The service has been outstanding and that for a more than competitive price. I would always use Courierpoint again! Should you be selling your [External Reference] shares. Astounding service beats anything I have experienced with [External Reference], 2/3 the price and under 72 hours door to door in Germany, TRACKED ALL THE WAY, and signed for. I asked my son to find a courier service to take a parcel to my brother who lives in Germany. He very quickly found courierpoint.com and the price for 12.5 kg was just over £20 compared to £133 to send it by parcel force. I tracked my parcel every step of the way - where it was, what time it got there and what time it left - plus I received an email when it reached the destination, the time it got there and who signed for it. As far as I am concerned a fantastic service that puts EVERY other service to shame and they all could learn a lot from courierpoint.com. Absolutely brilliant I cannot praise them enough. Since one of major courier services from America failed to do their job (and would have changed three times of what courierpoint charged) I had to find an alternative. Courierpoint placed my order with DHL Express. DHLs customer service is exceptional. I called them to narrow down the collection frame from 10am-5pm down to 11am-1pm on the chosen day. Collected on Friday, 12.26 pm (Edinburgh) by a very friendly courier, delivered on Tuesday 12.36 pm (central Germany) without any damages. How do I know the exact times? Tracking offers to view every single step. In the end, courierpoint provided a delivery notification and DHL a proof of delivery. 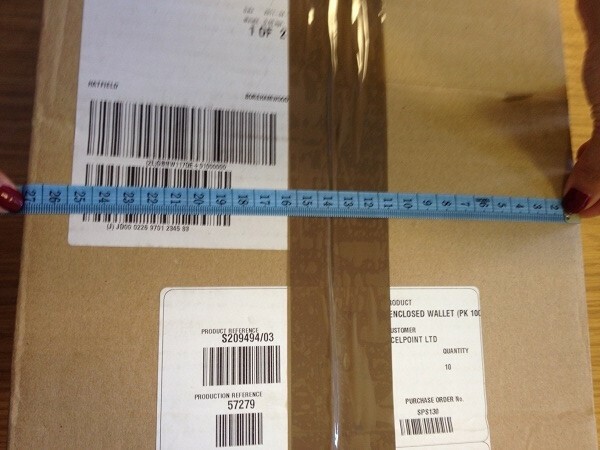 DHL even supported the packaging of my heavy parcel (more than 65 kg!!) with a europallet free of charge (usual procedure?). I'd go with Courierpoint/DHL again! Hello, I'm very satisfied. It took just 2 days to get the package from UK to Germany! Very pleased and will use it again! I've sent a parcel to Germany by Courierpoint and I'm absolutely happy with the service received. First of all, I've paid less than half the price than DHL express (and some others) has quoted me, even though my parcel has been collected and delivered by DHL express and secondly my parcel has been delivered within 5 days on a Sunday! I definitely recommend courierpoint and will use it myself in the future again. The whole process was seamless and I opened my email this morning to find CP had even written confirming safe delivery of my item. Price was the determining factor in getting my oversize package from UK to Germany. CP beat Parcel2Go and Parcelmonkey hands down on price. Will definitely use again. Thank you for the excellent service. It is not the first time that I use Courierpoint and I find them every time excelllent in terms of pricing and customer service. I highly reccomend them. Sent a package from England to Germany, after just 2 days it was there for an unbeatable price! The DHL courier was also very kind and friendly. They delivered my homemade chili sauce from London to a friend in Germany in 24 hours. This company is super hot. Very skeptical having nearly all 5 stars....I had to try. I needed an urgent computer delivered from Lincolnshire to Madrid Spain. It was collected within 3 hours at my home on Tuesday at 2pm and delivered local Spanish time 10am on Thursday. Excellent service. The website said DHL would collect but in fact FedEx collected and the package went in that short time to Madrid via Stansted, Heathrow, Germany, Paris and Spain! Would use without hesitation again and fully recommend. Have used Courier Point before and all I can say is superb. Efficient & cost effective. My parcel was collected within 2 hours of placing the order for an economy service to Germany and it arrived in 2 days. Full tracked and they let me know that it was delivered. Can highly recommend these people! An excellent service at a very reasonable cost. Having been quoted a shipping charge of £450 or so at the depot of one of the major courier companies, I turned up Courierpoint on Google. The shipment was quick to set up, was collected by a friendly, helpful driver about 2 hours after booking, reached its destination (Germany) the very next day and cost under £80. So glad I discovered this service. I couldn't believe the speedy service I received from this company! I booked a parcel collection to be sent to Germany and it was collected less than an hour later. Two days later, I received a message from the person I sent the parcel to, thanking me for the parcel and how quickly it arrived to her. I highly recommend this courier service and I will be sure to use them again! Thank you so much for a hassle-free service! A*!!! We hold accounts with the best international courier services including DHL, FedEx, TNT and UPS. Your selected carrier will collect and ship your shipment through their network as if it was sent directly with them to your destination. Choosing to work with Courierpoint will give to access to all of our carriers services at preferential rates. This is due to our bulk buying discounts that we pass onto our clients. Ensuring that you have access to the most reliable international courier services, at the most competitive prices. You will be supported by our 5 star rated customer support team, who have direct access to our carriers key accounts support team to resolve any challenges in the shortest possible time. See below examples of the low prices that we can offer for when you need to send shipments of documents, luggage, parcels and pallets to Germany. We can move items up to 1000 kilos in weight on a pallet. We specialise in moving unusual size parcels and pallets to throughout Germany. We can move items up to 240cms in length and up to 1000 kilos when they are on a pallet. All shipments are fully tracked and be delivered next day by air, or on an economy road service. 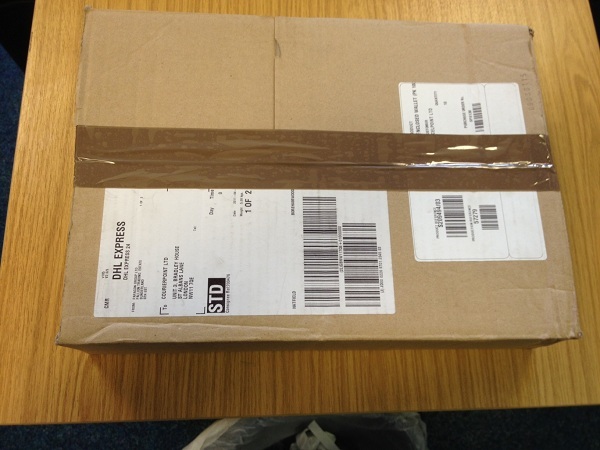 We often give bespoke quotations for these types of shipments so please get in touch with your needs. You can import parcels, documents, luggage, pallets and freight from anywhere in Germany into the UK. You can have next day air express delivery, or an economy road service delivered within 7 days to suit your budget. All our import services are fully tracked. Sending a pallet to Germany from the UK is easy with us. We will arrange to have a pallet lorry and forklift come to your location to collect your pallets. They will then be routed with an international pallet service carrier, and delivered on time, according to the service that you selected. We can move pallets with a weight of up to 1000 kilos. Prices are calculated on an individual basis so please contact customer service for your quotation. If you are relocating to Germany, for work, pleasure or to study we are able to help you save money on your international shipping costs. Just make a list of the sizes of your boxes and cases and we can arrange for your goods to be moved economically on a door to door basis. Just read our five star rated reviews to see how well we will look after your work. Through our booking portal commercial clients have access to discount rates for shipping your freight to Germany, with the best international courier services. We can deliver parcels and pallets throughout Germany, on tracked services. Our e-commerce regular sender accounts offer unique tools to save you time, trouble and money on your freight shipping. We work with many ecommerce stores who require a European wide economical way deliver their orders to clients in Germany. If you are shipping bulk orders, or small regular shipments to Germany and need a reliable cost-effective service to deliver your goods. We have multiple carrier options in place. Just ask for a tour of our systems by contacting customer service and see how much time, trouble and money we can save you. When you are sending a parcel to Germany through an international courier service, there are four main factors that control the price that you will be charged. 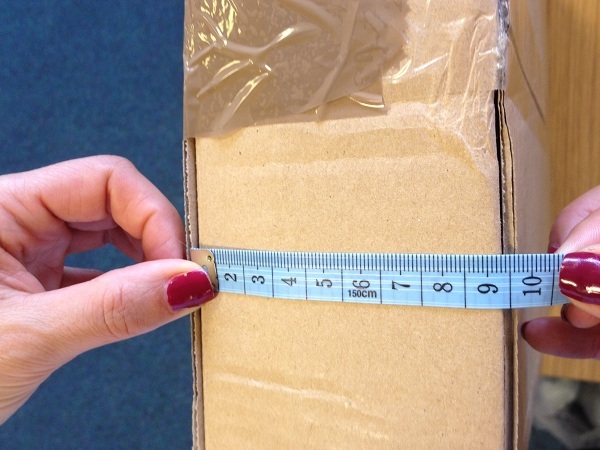 The heavier your parcel’s weight is, the more it will cost to deliver it. As larger parcels take longer to move around and use more fuel for the carriers that lighter ones. So the less weight your parcel has the lower the cost for moving it will be. The type of service that you select will affect the cost of your parcel delivery. If you want a fast-next day delivery service, this will cost more than an economy road shipment which will take longer. Using our online shipping calculator, you can get instant quotes from carriers to select the delivery service that meets your requirements for transit time, cost and liability cover. 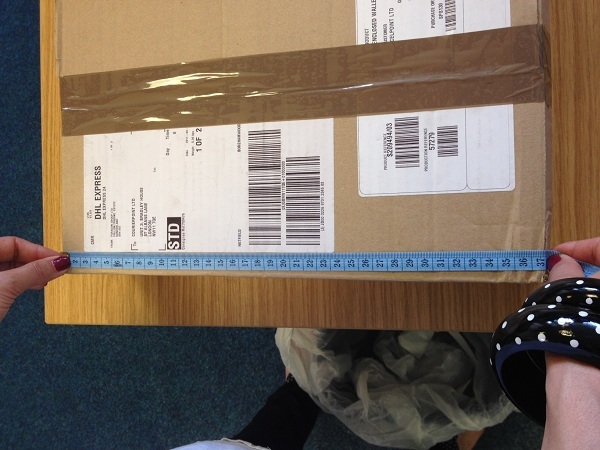 You can also call customer services for unusual shipments who will give you bespoke quotations in minutes. All shipments traveling between the UK and Germany are currently governed by the European Union membership agreement, giving both Countries free access as members of the European Union single market. Therefore, you will not be charged are import duty on goods traveling between the UK and Germany, which includes gifts. If your personal belonging are in the UK or Germany and you would like to send them to the other Country. We can organise to ship, boxes, parcels and suitcases at an economical rate with the best international courier services. So that your shipment will be delivered on time, in good condition at the best possible price. As Germany is part of the European Union, there will be no import duty or taxes to pay or customs invoices that need to be prepared. Have a look at the 5 star ratings that our clients have given us on the independent review website Trustpilot to see why using our services will give you peace of mind. If you are in a full-time educational course within the UK or Germany. We want to help to keep your costs as low as possible by offering a 10% off student discount for all the shipping of your books and personal possessions. Simply contact customer service with details of your university and course, and we will give you a unique discount code for you. You can use this for both import and export services to save carrying everything with you when you travel. We have been helping international students with their shipping for the last 15 years, so you know you are in good hands, just read our independent reviews to know that you are trusting the most reliable experts. If you have any questions we are here to help, just contact customer services anytime. We have over 1200 drop off points throughout the UK. Clients can find local drop off points that are usually within a few minutes traveling time throughout the UK. Simply print off the shipping labels, and the drop off instruction point information sheet that we provide, and you can send your parcel to Germany from over 1200 drop off points in the UK. We have a lot of useful information within the FAQ page, and it is recommended that you read through this page, before sending any shipments as it addresses the most frequently asked questions that we are asked.